In an earlier article, I suggested that one of the reasons why the Soviet Union held back until 1963 the report dated 1.12.1941 by SS-Standartenführer Karl Jäger, commander of Einsatzkommando 3 (the 2nd Jäger Report), notwithstanding the document’s damning explicitness, was its incompatibility with a Soviet policy against "dividing the dead" when documenting crimes committed by Nazi Germany on the territory of the USSR. This policy, as characterized in the secondary sources referred to in my earlier article, did not imply concealing the mass murder of Jews on Soviet territory. It did, however, imply presenting it as part and parcel of no-holds-barred, systematic violence directed against the Soviet population in general. Jews were to be seen not as the targets of the Nazis’ most concentrated violence, an extermination program that was a breed apart from the occupiers’ terror in general, but as victims of Nazi mass murder just like all other peoples of the occupied Soviet territories. This series is about that policy, with a focus on the Soviet prosecution case at the Nuremberg Trial of the Major War Criminals before the International Military Tribunal. The overwhelming majority of Soviet civilians killed out of hand by the Nazi occupiers were Jews. Between 2.4 and 2.6 million of the about 5.1 million Jews who lived on territory of the USSR on 22 June 1941 perished at the hands of the Germans, their Romanian allies and their local auxiliaries, most of them either killed on site by shooting or gassing or deported to extermination camps. Non-Jewish Soviet civilians were massacred on a smaller scale, mostly in the context of rural anti-partisan operations and reprisals, which are estimated by German historians to have claimed about half a million lives throughout the occupied territories. The imbalance becomes even more pronounced if one considers that the Jewish dead made up about half of the Soviet Union’s Jewish population as of 22 June 1941 and up to over 96 % of the Jewish population that came under Nazi rule in the occupied territories, whereas the number of non-Jewish civilian deaths from hard criminal violence by Nazi Germany and its allies amounted to less than 2 % of the non-Jewish population under occupation. Yet this is not what usually becomes apparent from contemporary Soviet reports about the investigation of Nazi crimes on Soviet territory, Soviet court verdicts at war crimes trials and Soviet official statements about Nazi crimes. Some of these documents, when referring to massacres whose victims are known from other sources (e.g. German documents and/or testimonies of eyewitnesses outside the Soviet sphere of influence) to have been wholly or mostly Jews, mention the Jewish ethnicity of the victims or most of the victims. In others the victims of such massacres are referred to as "Soviet citizens", "civilian citizens", "peaceful civilians", "peaceful population" or similar terms arguably meant to obfuscate the victims’ ethnicity and create the impression that all Soviet nationalities suffered equally from German occupation, that both Jews and non-Jews became victims of wholesale massacres, unprovoked and unrelated to any suppression of resistance, aimed at destroying or decimating the civilian population of the occupied territories. Even where Jews are specifically mentioned, it is stated or suggested that the non-Jewish civilian population suffered as least much from the occupiers’ direct violence. In the Soviet Ukraine there were monstrous criminal acts of the Nazi conspirators. In Babi Yar, near Kiev, they shot over 100,000 men, women, children, and old people. In this city in January 1942, after the explosion in German Headquarters on Dzerzhinsky Street the Germans arrested as hostages 1,250 persons—old men, minors, women with nursing infants. In Kiev they killed over 195,000 persons. Under paragraph VIII (A), above, millions of the persons there mentioned as having been murdered and ill-treated were Jews. As the Germans retreated before the Soviet Army they exterminated Jews rather than allow them to be liberated. Many concentration camps and ghettos were set up in which Jews were incarcerated and tortured, starved, subjected to merciless atrocities, and finally exterminated. 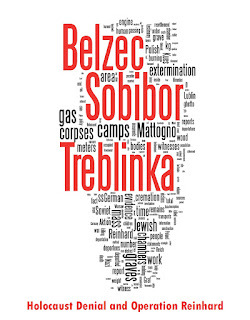 The Treblinka extermination camp is notably absent from the list of killing sites in either part of the indictment, even though it was investigated and reported about by a Soviet commission in August 1944 and a Soviet war correspondent, Vassili Grossman, wrote an impressive article about its horrors. This omission may have been due to the fact that, unlike the more "international" concentration camps Auschwitz and Majdanek, Treblinka had been made exclusively for the purpose of killing Jews and thus was thus not compatible with the "ecumenical" Soviet stance. The term used does not convey, and indeed I cannot conjure a term that does convey the ultimate aim, the avowed purpose to obliterate the Jewish race. I know of no crime in the history of mankind more horrible in its details than the treatment of the Jews. In the next parts of this article I will take a look at how the extermination of the Jews was addressed in the Soviet prosecution’s presentation of evidence. Gesamtaufstellung der im Bereich des EK. 3 bis zum 1. Dez. 1941 durchgeführten Exekutionen (Yad Vashem Archives, Record Group O.53 - Ludwigsburg, USSR Collection, File Number 3, pp. 87-95). The former The Holocaust History Project website featured a facsimile, a transcription and a translation (links to respective first page, from where the following pages can be accessed). This was the second report written by Jäger, following an earlier report dated 10.9.1941 (YVA, Record Group O.53 - Ludwigsburg, USSR Collection, File Number 3, pp. 82-85). See, among other, my articles Soviet Civilian Losses in World War II and The Kortelisy Massacre, and the sources cited there. See also Marko Marjanović, Breaking Down Soviet WWII Losses. Marjanović estimates 2,550,000 Jewish citizens of the Soviet Union murdered in the Holocaust, 650,000 non-Jewish civilians killed in anti-partisan reprisals in the countryside and 200,000 – 400,000 civilian victims of "all other German killing policies and repression" (pp. 21-22). The overwhelming majority of excess deaths in the occupied territories, estimated at ca. 3.5 – 4 million, were due to privation (p. 15, citing Krivosheev), largely induced by the occupiers’ appropriation of food resources and the "scorched earth" destruction wreaked by retreating German troops. Both are addressed in Christian Hartmann, Unternehmen Barbarossa. Der deutsche Krieg im Osten 1941-1945 (Verlag C.H.Beck oHG, München, 2011), pp. 62-81 (translated here; Hartmann’s booklet is now also available in English translation. According to Hans-Heinrich Nolte, about 2.7 million out of 5.1 million Jews on Soviet territory as of 22 June 1941 came under German rule, and of these about 2.6 million were killed (96.3% of the total). The parts of the USSR that fell under German occupation, according to Marjanović, were home to 77.5 million people before the war. 16.5 million of these fled or were evacuated by the authorities, leaving just over 60 million in areas under German control. If 2.7 million of these were Jews, that leaves 57.3 million non-Jews. Marjanović’s highest figure for non-Jewish civilian victims of all German killing policies and represssion (ca. 1,050,000) corresponds to 1.83 % of these. The total number of Soviet civilians shot, gassed, hung or burnt to death by German and Romanian occupation forces was given as ca. 6 million by the Soviet Extraordinary State Commission, thereof about 2.8 million Jews and 3.2 million non-Jews (see my article One might think that …). While the figure for Jews is quite realistic, the figure for non-Jews is exaggerated by a factor of 3, assuming Marjanović’s highest figure for Soviet non-Jewish civilians murdered out of hand. One such report is the "Act on Atrocities Committed by Fascist Aggressors in the Ponar District, near Vilnius", a translation of which is included as document no. 9 in the collection The Tragedy of Lithuania: 1941−1944. New documents on crimes of Lithuanian collaborators during the Second World War / Трагедия Литвы: 1941−1944. Сборник архивных документов. − М:Алексей Яковлев, 2008. − 288 с. − Англ. ISBN 978-5-903588-01-5. The description of the exhumed corpses includes the information that, according to documents found in their clothes, "the majority of the killed people were of the Jewish nationality, the rest were Poles, Russians and Lithuanians" (p. 40). However, the commission made no effort to determine what approximate proportion of the estimated number of victims of the Ponary killing site were Jews, but simply concluded that "Considering the huge quantity of burnt human bones spread on the surface of all the camp area, the corpses found in the pits that were not yet burnt, and witnesses’ testimonies, the total number of corpses is determined to be no less than one hundred thousand." The "Report of the Medico-Legal Examination of the Mass Grave in the Vicinity of the Town of Žagare" dated 24 September 1944 (Tragedy, document no. 13, pp. 50-51) expressly mentions that the massacre victims were Jews. So does the "Act on Crimes of Fascist Aggressors and their Accomplices in the Vicinity of the City of Žagare" dated October 5, 1944 (document no. 16, pp. 58-60). There are also other Soviet reports in the collection mentioning that the victims were Jews or mostly Jews. Some examples of such statements can be found in my article Neither the Soviets nor the Poles have found any mass graves with even only a few thousand bodies …. More examples are in Ernst Klee/ Willi Dreßen, »Gott mit uns« Der deutsche Vernichtungskrieg im Osten 1939-1945, pp. 24-29 (the report mentions the mass killing of Jews from the Ukrainian city of Konotop, but claims that twice as many non-Jewish civilians were shot), 31-37 (the report claims that 70,000 inhabitants of Zhitomir, Ukraine, thereof 30,000 Jews, were shot), 97-99 (according to this report, which goes into much detail regarding the exhumation of about 700 murdered mental patients and also mentions a pit containing the corpses of about 1,000 Soviet prisoners of war, the German and Romanian invaders tortured, shot and destroyed 101,139 Soviet citizens in the Vinnitsa region, Ukraine, thereof 41,620 in the city of Vinnitsa, thereof 15,000 in the spring of 1942), 157-164 (this report, about the liquidation of the Klooga labor camp in Estonia, mentions that among the inmates there were Jews, Poles, Lithuanians, Estonians and others, but not that the majority of the camp’s inmates were Jews), 186 (the report claims that about 30,000 civilians, including about 10,000 Jews, were killed in and around Mogilev, Belorussia), 191-192 (about 17,000 Soviet citizens were shot or killed in gas vans in anti-tank ditches near the village Novopashkovo and in a forest by the Kasimirovo collective farm, Belorussia). Further examples can be found in the Tragedy collection, including without limitation the following: "Act on Crimes and Atrocities of Fascist Aggressors and their Accomplices in the City of Mežeikiai of the Lithuanian SSR", dated December 7, 1944 (document no. 22, pp. 70-72); "Act on Crimes and Atrocities of Fascist Aggressors and their Accomplices in the Ilokai Borough, the Mežeikiai Uyezd, the Lithuanian SSR", dated October 18-19, 1944 (document no. 52, pp. 155-156: while the introduction mentions "massacre of Soviet citizens, […]communists, Komsomol members, Soviet activists and Jews", there is no mention that the hundreds of victims referred to as having been discovered in mass graves were Jews, and the named perpetrators are accused of "carnage and humiliation of the Soviet citizens in the Ilokiai borough"); "Act on Crimes and Atrocities of Fascist Aggressors in the Vilkaviskis Uyezd of the Lithuanian SSR", dated April 12, 1945 (document no. 58, pp. 165-165); "Act 8. On Mass Executions of the Party-and-Soviet Active Functionaries and Other Civil Population in the Panavežys Uyezd of the Lithuanian SSR" dated January 25, 1945 (document no. 68, pp- 181-182); "Act on Atrocities of Fascist Aggressors against Citizens of the USSR in the Lasdiai Uyezd during the Occupation of the Lithuanian SSR", dated June 8, 1945 (document 76, pp. 195-199); "Act of Investigation of Atrocities of Fascist Aggressors and their Accomplices during the Temporary Occupation on the Territory of the Kedainiai Uyezd of the Lithuanian SSR", undated (document no. 97, p. 242). See also Izabella Tabarovsky, Don’t Learn from Russians about the Holocaust. For a different theory about the origin and purpose of the ecumenical term "peaceful citizens", see Michelle Jean Penn, The Extermination of Peaceful Soviet Citizens: Aaon Trainin and International Law, University of Colorado at Boulder. The text of the indictment can be read here on the site of Yale Law School’s Nuremberg Trials Collection, which also features the Proceedings Volumes ("Blue Set" or "Blue Series") and some of the volumes of the series "Nazi Conspiracy and Aggression" (aka the "Red Set" or "Red Series"), a collection of documentary evidence and guide materials prepared by the American and British Prosecuting Staffs. The Proceedings Volumes can also be read and downloaded on the US Library of Congress’s page, Trial of the Major War Criminals before the International Military Tribunal, the "Red Series" on the LoC’s page Nazi Conspiracy and Aggression. Auschwitz, Majdanek, the Lwow/Lvov region (including the Ganov/Yanov camp and the Livenitz forest), the Klooga camp in Estonia, the named locations in the Lithuanian S.S.R. including Panerai (Ponary) and Mariampol (Marijampolė), the Latvian S.S.R., the Smolensk region, Mineralny Vody and other cities in the Stavropol region, Pyatigorsk, Krasnodar, Orel, Minsk, the Crimea (Kerch, Simferopol and other locations), Babi Yar, Dnepropetrovsk, the Kamenetz-Podolsk region (see following note), the Odessa region, Kharkov, Gomel. The figure for the Latvian S.S.R., 577,000, is so unrealistically high if including civilians alone (as claimed) that it may well include the about 327,000 Soviet prisoners of war who perished on Latvian territory according to Soviet prosecutor Colonel Pokrovsky’s presentation citing Document Number USSR-41 (IMT Vol. VII, p. 380). This figure for prisoners of war may be fairly realistic, considering that, according to German historian Christoph Dieckmann (Deutsche Besatzungspolitik in Litauen, 1941–1944, p. 1340), of the ca. 3 million Soviet prisoners of war who died in German captivity ca. 1.2 million perished in the Reichskommissariat Ostland (which included Latvia) and the Reichskommissariat Ukraine. This would leave about 250,000 civilian dead on Latvian territory – still much too high (according to Latvian-American historian Andrew Ezergailis the number of civilian victims did not exceed 85,000, including both Jews and non-Jews). The figure for the Smolensk region, 135,000 seems to mostly consist of Soviet prisoners of war, not civilians (see my article Neither the Soviets nor the Poles have found any mass graves with even only a few thousand bodies …, where a "Communiqué of the Soviet Extraordinary State Commission about the Liquidation of Prisoners of War and Civilians in Smolensk and Surroundings from July 1941 to September 1943" is quoted; locations numbered 6, 7, 10, 11, 12 and 14 suggest facilities for keeping PoWs). The figure for the Leningrad region (172,000) seems widely exaggerated unless it also includes civilian deaths from acts of war and privation outside the Leningrad metropolis (starvation victims of the siege of Leningrad are obviously not included in this figure as it is much too low for that, whereas people killed in the city by bombing and shelling are expressly included). The figure for people "tortured and killed" in the Stalingrad region also comes across as much too high (40,000 seems to be the number of civilian inhabitants of Stalingrad commemorated here as having been killed during the battle, including but not limited to victims of German reprisals or other atrocities). The claimed drowning of "peaceful citizens" in the Crimea is not confirmed by any non-Soviet source I know about. The claims regarding the places not mentioned in this note should also be treated with caution. In late August 1941, forces subordinated to the Higher SS and Police Leader for Southern Russia massacred a reported total of 23,600 Jews at Kamenets Podolsky in south-western Ukraine, including deportees from Hungary. See my article The Kamenets-Podolsky Massacre. Lwów or Lvov (Lemberg in German, L’viv in Ukrainian) was the capital of the District of Galicia of the General Government. Of the ca. 530,000 Jews living in the District of Galicia at the end of June 1941, just about 5,000 survived. The rest were shot on site or at the Janowska concentration camp, or deported to Bełżec extermination camp (Thomas Sandkühler, Endlösung in Galizien, 1996 Verlag J.H.W. Dietz Nachfolger GmbH, Bonn, pp. 459-461). Sandkühler’s book is cited in my article Belzec Mass Graves and Archaeology: My Response to Carlo Mattogno (5,2). Note the term "murdered and ill-treated". This means that the term "millions" does not necessarily refer to people murdered alone. The total number of Jews murdered at Mineralnyye Vody is estimated as between about 6,500 and about 7,500 according to Yad Vashem. The mass killings at that place are narrated, largely on the basis of testimonies before judicial authorities of the German Federal Republic, in Andrej Angrick, Besatzungspolitik und Massenmord. Die Einsatzgruppe D in der südlichen Sowjetunion 1941-1943, pp. 617 ff. The total number of Jews killed in Latvia was about 65,000, according to Ezergailis. Jews killed in Riga and the Riga District are commemorated in various memorials including the Rumbula memorial (ca. 25,000 Jews murdered) and the Bikernieki Forest Memorial (ca. 35,000 persons murdered, including about 20,000 Latvian, German, Austrian, and Czech Jews). Lutsk (Luts’k ) is a city in northwestern Ukraine, whose Jewish population was herded into the Łuck Ghetto. Almost all of them were killed during that ghetto’s liquidation, which was one of the rare occasions on which Jews made a futile attempt to resist. See the Yad Vashem video Mass-murder of Łuck Jews at Gurka Polonka in August 1942, the Yad Vashem page on Łuck, the entry for Luts’k in The YIVO Encyclopedia of Jews in Eastern Europe, and Yitzhak Arad, The Holocaust in the Soviet Union, p. 265. Sarny is a small city in western Ukraine. Between 14,000 and 15,000 Jews from Sarny and surrounding townships were massacred on August 27-28, 1942 (Arad, as above). 33,771 Jews of Kiev were killed on September 29 and 30 in the Babi Yar Massacre. According to the Yad Vashem page about Dnepropetrovsk, at least 10,000 Jews of Dnepropetrovsk were murdered on the southern outskirts of the city on October 13-15, 1941. Operational Situation Report USSR No. 128 dated 2 November 1941 mentions a total of 80,000 Jews killed by the Kommandos of Einsatzgruppe C until that date. According to Operational Situation Report USSR No. 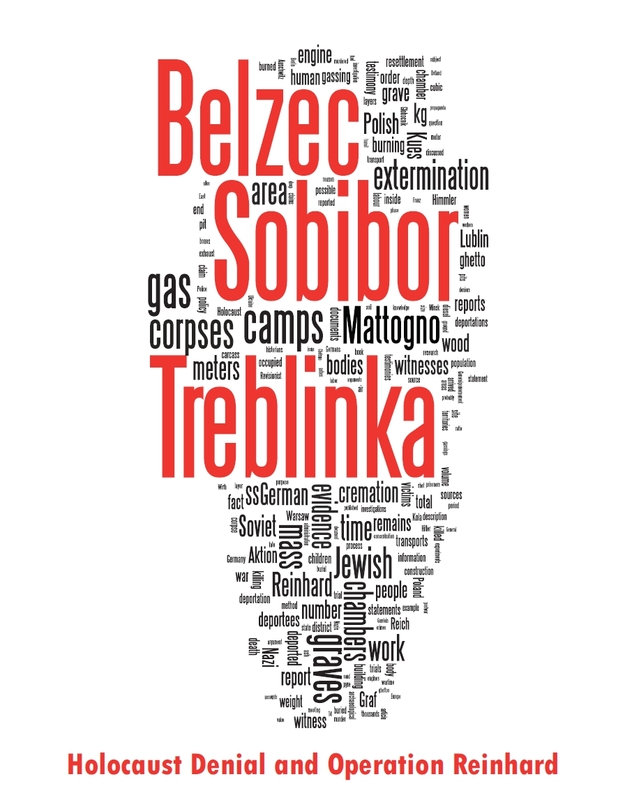 132 from Dniepropetrovsk dated 12 November, Sonderkommando 4a of Einsatzgruppe C alone had so far executed 55,432 people. It is not clear what place of places this statement refers to. Gas vans in the USSR had technical problems mentioned in the Becker letter of 16 May 1942, but no non-Soviet source I know of suggests that they ever broke down from overwork. Gas vans are likely to have accounted for a relatively small part of the people murdered by mobile killing units on occupied Soviet territory, considering what German historian Christian Gerlach wrote about their (in)efficiency in his book Kalkulierte Morde. Die deutsche Wirtschafts- und Vernichtungspolitik in Weißrußland 1941 bis 1944, pages 766 f. (see my translation in the article Thomas Dalton responds to Roberto Muehlenkamp and Andrew Mathis (2) ). Their main use was at Chełmno extermination camp, where according to the Just Memo, dated 5 June 1942, "97,000 have been processed with three vehicles in use". See my article 19 November 1942. IMT Vol. III, p. 519. Major Walsh’s presentation closely followed the rendering of prosecution evidence in Nazi Conspiracy and Aggression Vol. I, Chapter XII – The Persecution of the Jews (pp. 978 – 1022). How many Russians do you think were killed by the Nazis? I'v read 20 million to 27 million? Soviet losses in 1941-45 were more like the latter figure.